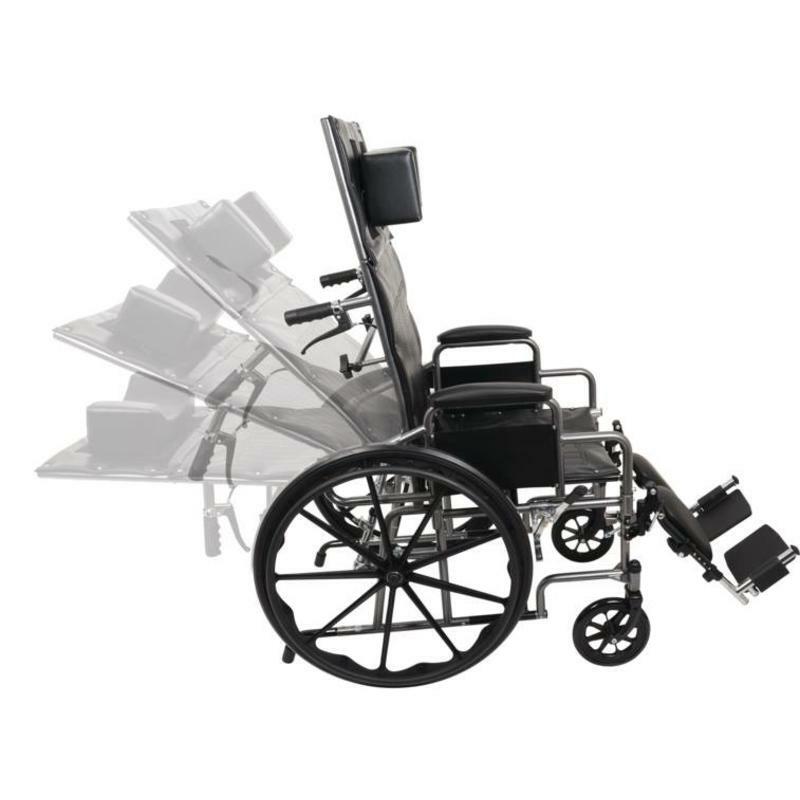 The ProBasics Reclining Manual Wheelchair provides full back and headrest support and reclines from 90 to 160 degrees. Available in 4 sizes. Usually ships within 1 to 2 business days. 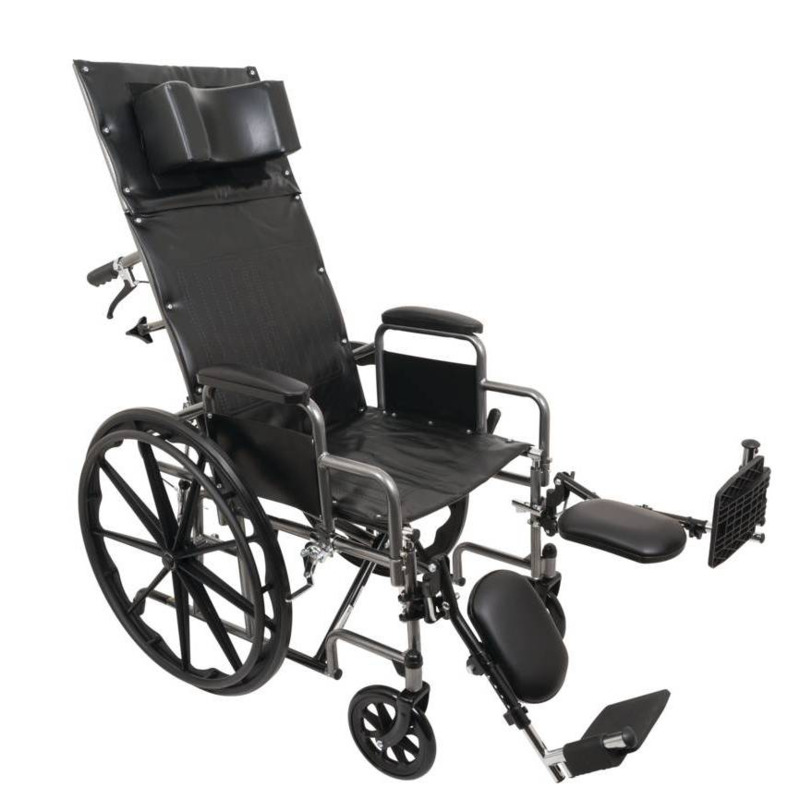 Size: * 16"x17" 18"x17" 20"x17" 22"x17"
ProBasics Reclining Manual Wheelchairs provide full back and headrest support as patient reclines from 90 to 160 degrees. 300 lb weight capacity. The 13-inch headrest and padded, desk-length arms and elevating legrests are removable. Black, padded nylon upholstery resists mildew and bacteria. The frame has a chip-resistant silver vein finish. 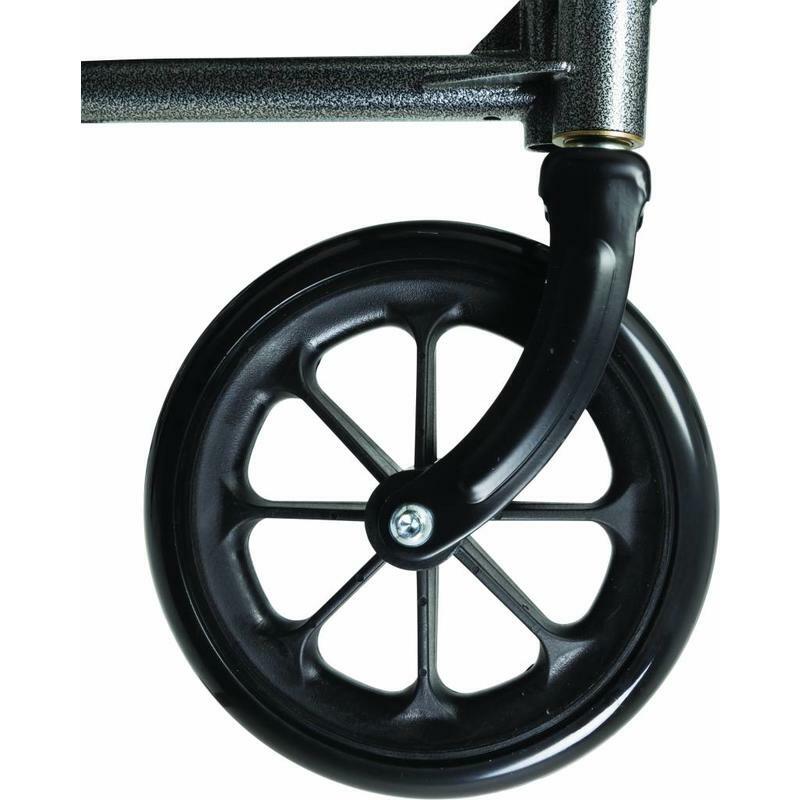 Mag-style wheels are lightweight and set back on frame to prevent patient from tipping when in the reclined position. Slide tube steel frame with an attractive silver vein finish that is chip resistant and easy to maintain. Rear anti-tippers and Easy push-to-lock wheel locks come standard. Padded Desk-length, detachable armrests provide added patient comfort. Easy-to-clean, comfortable vinyl upholstery resists mildew and bacteria. Chart pocket on backrest provides additional convenience. The headrest extension comes standard with a removable head immobilizer on these reclining wheelchairs. Tool-free elevating padded leg rests are equipped with a pneumatic piston for infinite positions and composite footplates. Composite handrims with mag-style wheels are lightweight and maintenance free. 8" x 1" solid rubber front casters. Wheels are set back on the frame to prevent tipping.